The TrainRite Compact Fitness Journal logs all of your daily exercise and cardio activities. 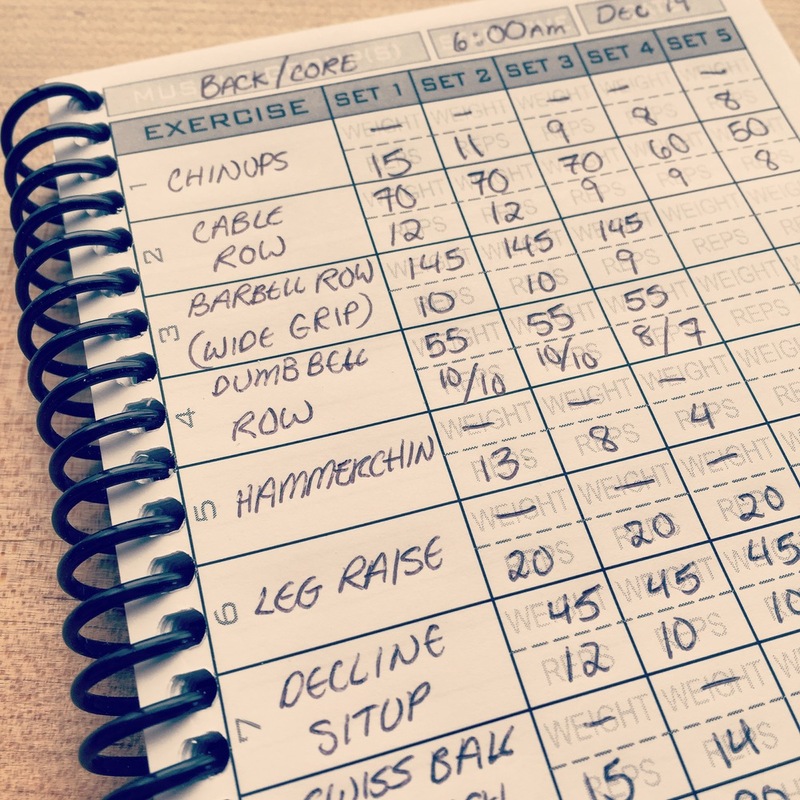 This log book is a collaborative effort from fitness junkies, beginners and everyone in between who have provided me with their workout journal wish-lists. I've taken my extremely simple and easy to use TrainRite Exercise and Fitness Journal and made it even better. 5 sets. Many of you animals wanted more than 4 sets per exercise as in the first journal, so you’re in luck – this book’s got 5! More logging for cardio or classes. This version has 3 spaces per workout for cardio or other non-weight training activities. We like notes. A space for notes! ‘Nuff said. No frills, no wasted pages. 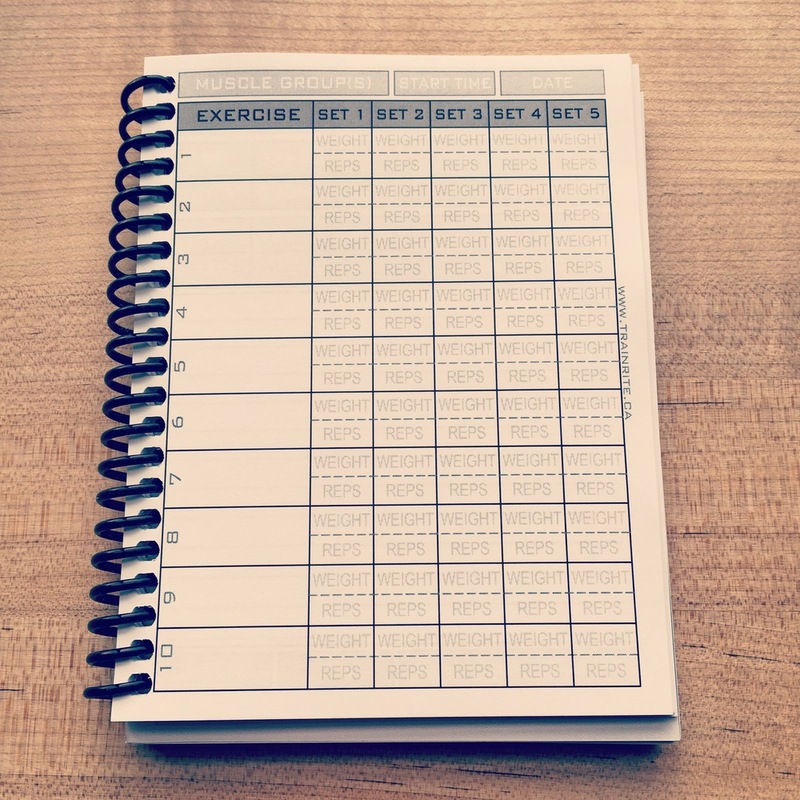 Each durable book lasts for 90 workouts and includes a workout planning chart that allows you to create a 2-week fitness regimen that will last for months when planned with a wide variety of exercises. Use it to look back and see what was effective, and what wasn’t working for you. See how many reps of what weight you could do 2 months ago to ensure you’re making progress and reaching that goal. 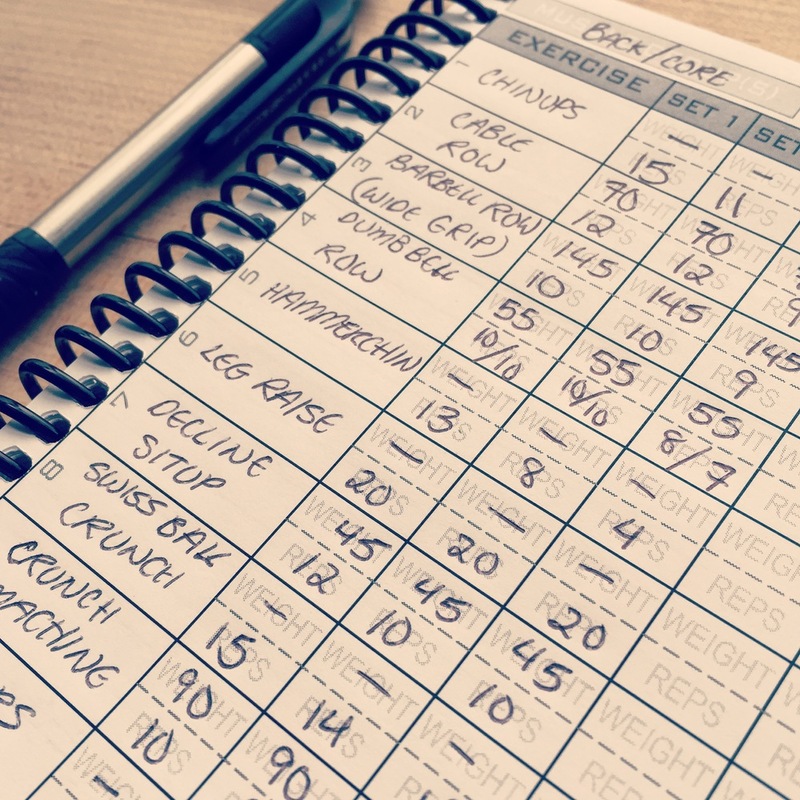 Planning and tracking your workout is essential to gauge your progress. How many lunges could you do last workout? How many reps did you do? From beginners to seasoned, our books are small, durable, easy to use, and most importantly effective for your transformation. Even better, you won’t need to buy a new phone or tablet if you drop a dumbbell on it. 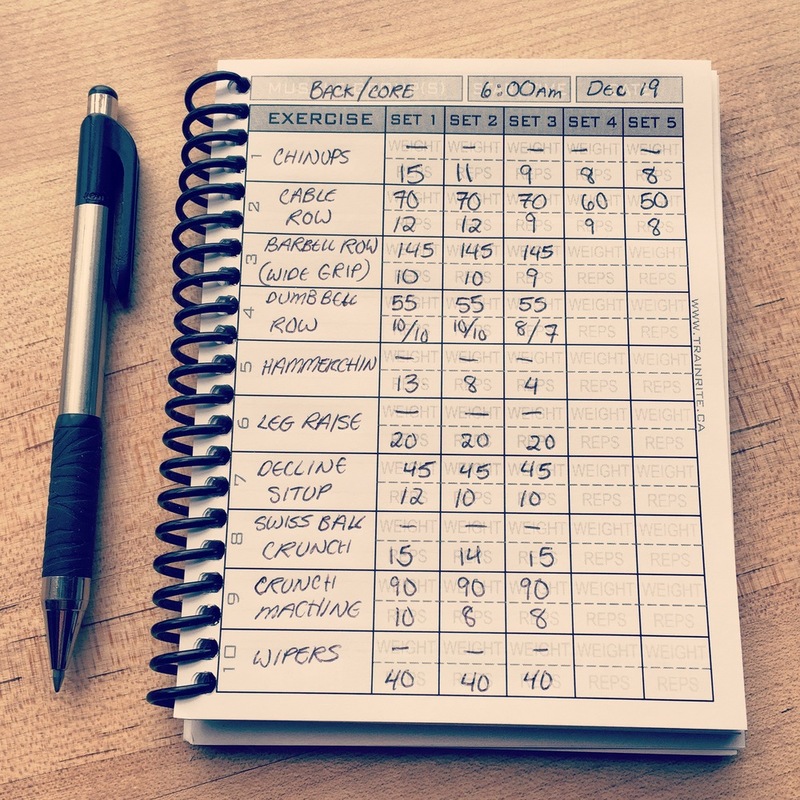 This journal is great for creating and adhering to a well-planned fitness regimen. Workout twice a week? 6 times a week? Either way, make sure you’re getting the most out of it by creating variation and planning for success. To achieve your goals you must create a plan and be consistent with it. TrainRite Journals are an essential tool to help you reach your fitness goals.